Format is a 9 game limited qualifier. $15 Entry fee covers ALL games for the night! The competition consists of limited qualifying and head-to-head final rounds. During qualifying, each player will play ONE game only on each machine and a SECOND game on one machine of their choosing. A point system is used to rank each player’s best score on each machine. Those who rank highest at the end of qualifying will participate in the head-to-head final rounds. Qualifying will complete once all qualifying games have been completed however players are expected to complete their qualifying games in a timely fashion, no new players will be accepted after 8pm. 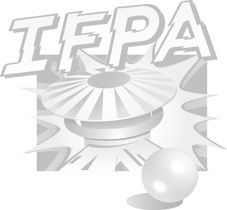 Tournament will be managed through the rules and regulations of the IFPA.